In the early 1990s, Sweden suffered its deepest recession since the Great Depression. Although the Swedish crisis was homegrown, its causes and effects resemble the events unfolding in the world today. After years of strong domestic growth driven by easy credit and high leverage, a real-estate bubble burst, leading to the collapse and partial nationalization of the banking sector. Domestic demand plunged as the household savings ratio soared by 13%. In three years, public debt doubled, unemployment tripled, and the government budget deficit increased tenfold, to more than 10% of GDP, the largest in any OECD country at the time. Göran Persson was appointed finance minister after the 1994 elections, and became prime minister two years later. In order to regain the confidence of international lenders (and so pave the way for stability and sustainable growth) he knew that Sweden had to reduce its budget deficit dramatically. It took four years for the Swedish government to balance its budget. 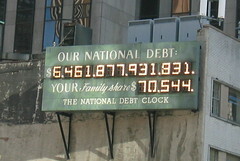 By 2006 the country had almost halved its public debt. First, as Persson says, you must make it clear that you are responsible for the process and that you are prepared to put your position at stake. Second, the consolidation program must be designed so that the burdens are shared fairly. Public support for tough policies would quickly deteriorate if they were not perceived as fair. Third, the consolidation program has to be designed as a comprehensive package: by presenting the measures together, it becomes clear to all interest groups that they are not the only ones being asked to make sacrifices. Also, by starting with the most difficult measures, you demonstrate your resolve and increase the chances of achieving the early results, which will be important for getting the continued support that is critical for sustaining the effort. Transparency is the fourth lesson: never play down the effects of the program’s measures, be completely honest when you communicate with financial markets, clarify assumptions and calculations. 1) One strategy aiming to improve productivity, service quality, and freedom of choice involved the liberalization of telecommunications, mail, railways, and other infrastructure industries. It also involved allowing privately run providers to compete with public ones in providing tax-financed services for the school system, health care, child care, and care for the elderly. 2) Another measure was to introduce information technology to broad layers of the population through a tax-deduction scheme that allowed workers to obtain a home computer under a favorable leasing agreement with their employers. The penetration of IT in Sweden during these years outpaced every other country in the world, which made it possible for authorities like the Tax Agency to go online at an early stage. More and more of the communication between Swedish public agencies and citizens now takes place on the Web, and many Swedes do their annual tax submissions over the Internet, allowing for a very efficient processing of taxes. 3) A third strategy was to give people with basic schooling the chance to complete a secondary education that would qualify them for university studies. More than 10% of the workforce seized this opportunity between 1997 and 2002. When the business cycle turned up again, they became a very good resource on the labor market, not least in the public sector. This education scheme served a dual purpose: it eased the pain of unemployment and increased Sweden’s long-term competitiveness by lifting the average competence level of the workforce. Göran Persson also commented on his experience with trying to get the civil servants on board and making them partners in the initiative, changes in the way government worked and the way it developed and delivered its services, and influencing change at ministries that were not making good on their efficiency targets.